A new man for international trade in the area of Marine, Agriculture, Commercial Vehicle and Construction Equipment working for German oil and additive specialist LIQUI MOLY: Carlos Travé. He will aim to stimulate export business in these four areas. “We see enormous potential for the brand here,” says Ernst Prost, CEO of LIQUI MOLY. Carlos Travé is by no means an unknown quantity at LIQUI MOLY. He joined the company in 2014 and has reorganized the range and sales of motorcycle products. 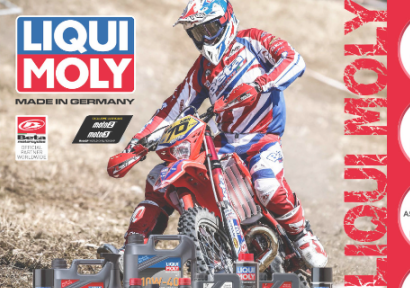 Since then, LIQUI MOLY – which has its root in the automotive area – has become an established name in the motorcycle field, too. In fact sales have more than tripled under Carlos Travé.